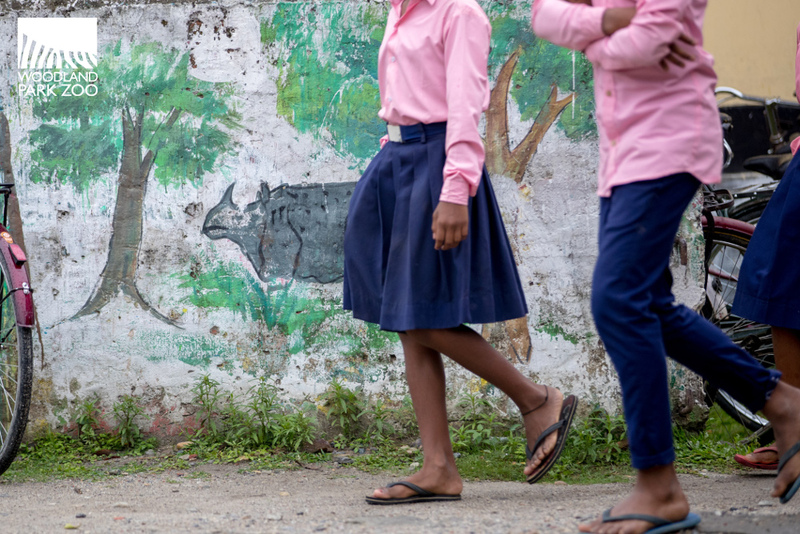 Children pass a rhino mural on the way to class. It’s morning and class has not yet begun. The Raghab Bill middle school students in the Manas community of Assam, India gather in the courtyard. Their chatter rivals the mynahs in nearby trees. An educator emerges from a classroom with a scroll-like poster in his hand. It contains the words that start every schoolchild’s day in Manas. 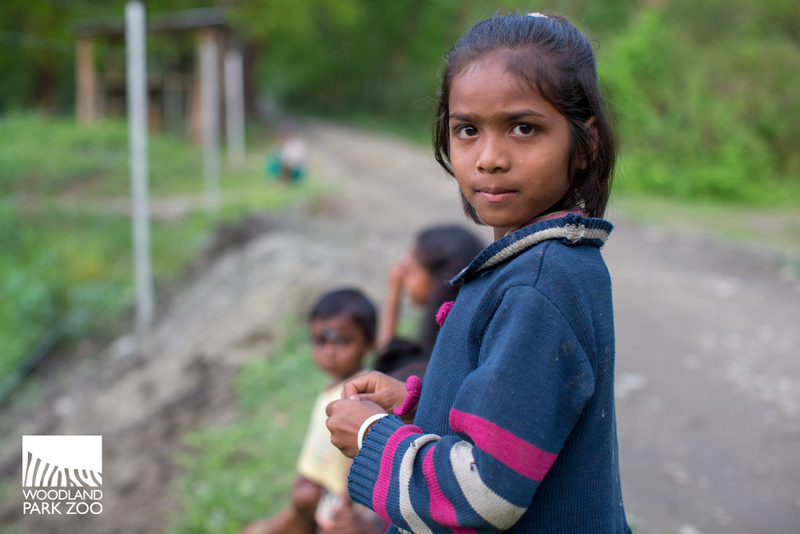 “We, the people of the fringe villages of Manas National Park always feel proud,” the oath begins. One of the student leaders calls out the words, while the rows of children echo the pledge back, line by line. Video | Rhino Lookout: A Schoolchild's Oath. They count themselves off row by row. 90 students. That’s 90 pledges to the wildlife of Manas. Today. In one school. There are 63 public schools in the community. Each student takes this oath every day. High school students in the Manas community. “Our thinking is that if we use this oath, then there must be some effect in their minds: what is the importance of, what is the duty to, and what are the needs of conservation of the forest and the animals,” says Amin Basumatary, a conservation educator in Manas. 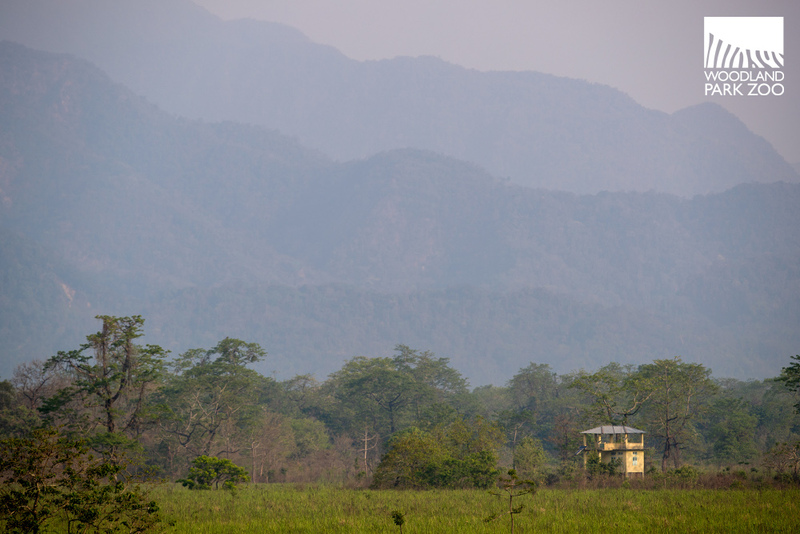 A watchtower is itself towered over by the foothills of the Himalayas in Manas National Park. 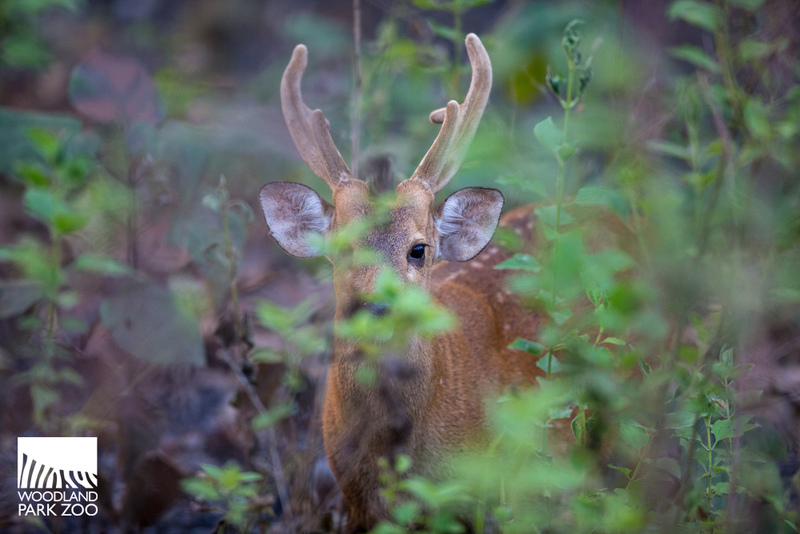 Through the flora peers an alert hog deer in Manas National Park. 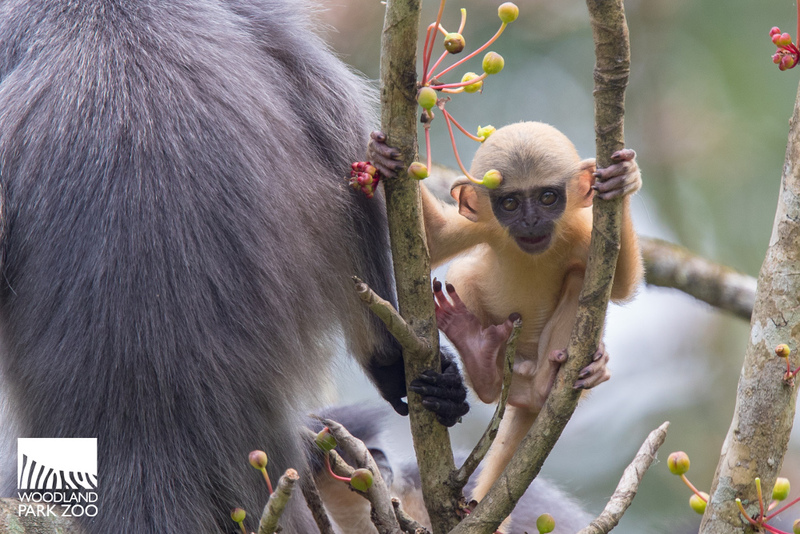 A capped langur infant explores the treetops of Manas National Park. In the Northeast of India, in the shadow of the foothills of the Himalayas, Manas National Park forms the 235,000-acre heart of Assam’s Manas community. There is wildlife found here and nowhere else, such as pygmy hogs and golden langurs. But Assam is perhaps best known as “rhino land,” according to Bibhab Talukdar, Asia Coordinator for the International Rhino Foundation, Woodland Park Zoo’s rhino conservation partner in India. 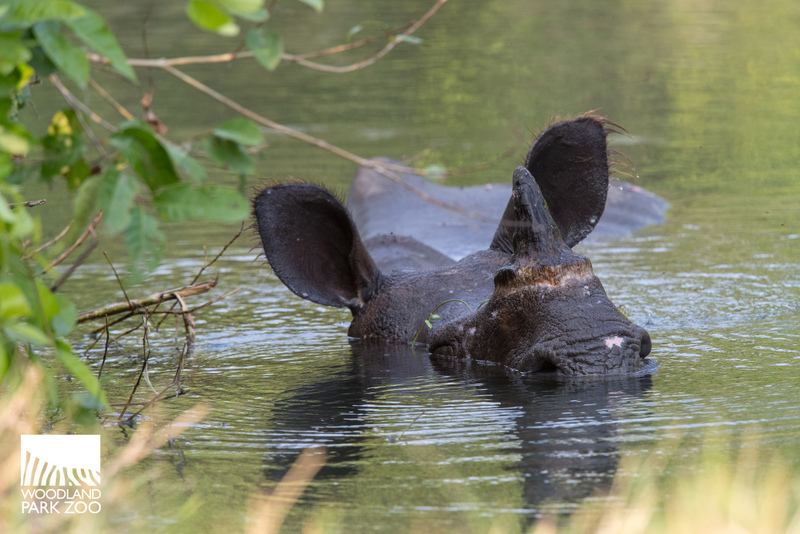 A rhino takes a cooling dip in Manas National Park. Though rhinos were poached to local extinction in Manas, the park remained a viable habitat for this species on the brink and hope was not lost. 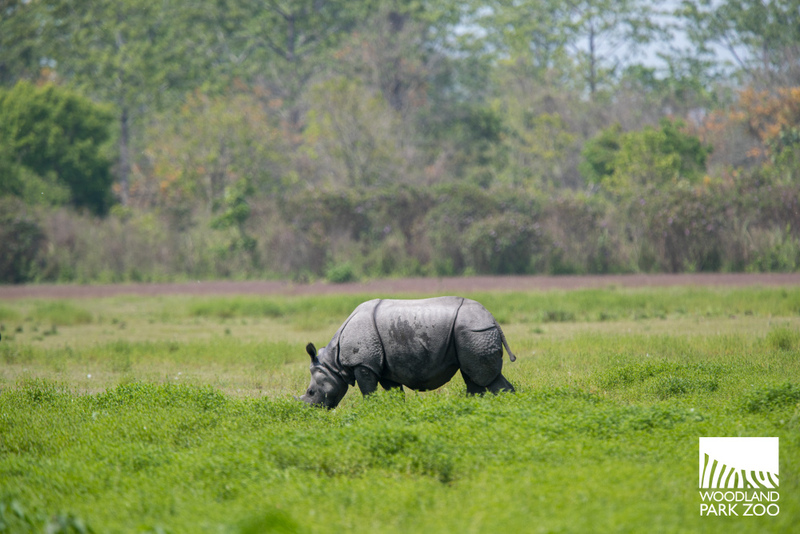 A greater one-horned rhino grazes in the Manas floodplains. Thanks to this successful translocation project, known as Indian Rhino Vision 2020, there are now approximately 31 rhinos thriving in Manas National Park with their offspring. The rhinos are getting a second chance. So too is the community of Manas. Along the road that leads to Manas National Park. When many of these schoolchildren were born, the first of the rhinos were being translocated to Manas. As they grow up, so does the new generation of rhinos taking hold. Through the International Rhino Foundation, Woodland Park Zoo supports conservation education that strengthens these ties. 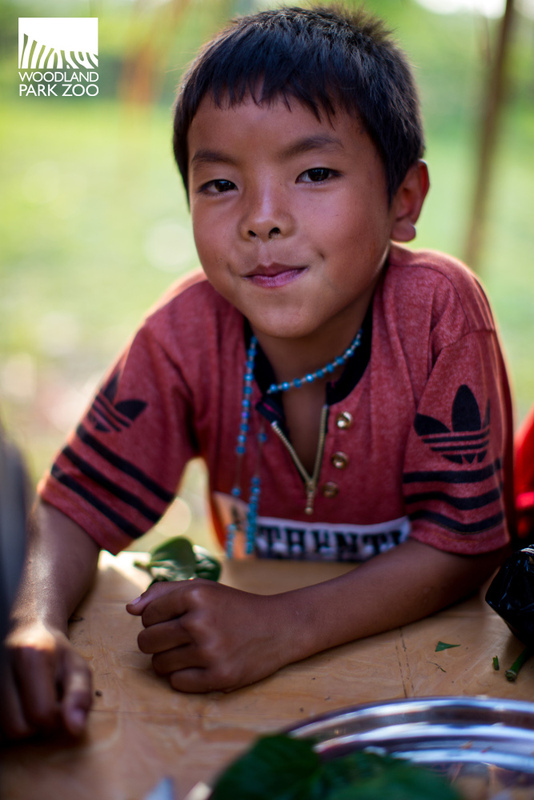 A boy attends his family's artisan booth at the local cultural fesitval. Imagine if we all took it one step further, and pledged ourselves daily to actively protect the wildlife in our own community. For the animals, for ourselves, for each other. A mural outside school walls in Manas. Two miles down the road from the middle school, a mural adorns the outer walls of a high school. Gray concrete is colorfully punctuated by rhinos, tigers, elephants and peacocks. 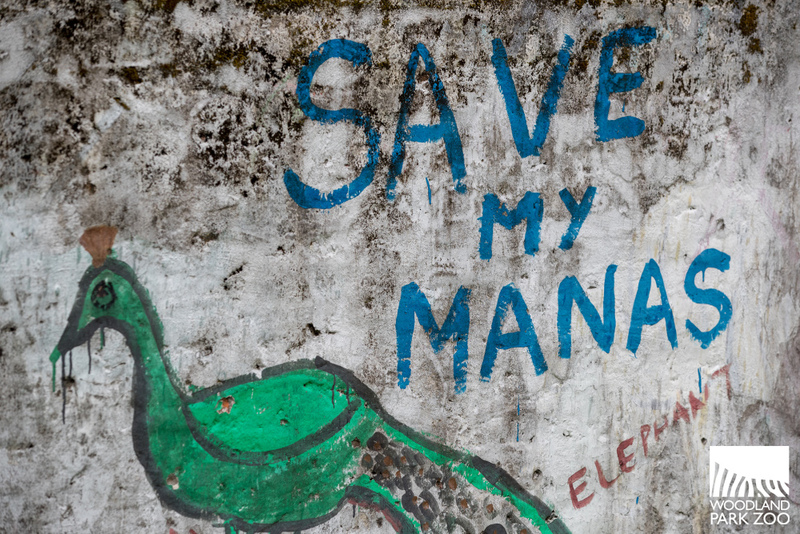 Painted by the hands of children, a simple imperative on the mural reads: “Save My Manas.” It is at once their demand of us and their promise to each other. You can look out for rhinos right now. Proposed administrative changes to the Endangered Species Act would significantly weaken protections for species most vulnerable to extinction. Contact your Member of Congress to urge leaders to save the Act that saves species. In the Rhino Lookout series, we’re highlighting the stories of those who are looking out for rhinos and what we can do to help. Visit Assam Rhino Reserve, now open at Woodland Park Zoo, and follow #rhinolookout for more stories. Every visit to Woodland Park Zoo supports our work with the International Rhino Foundation and more than 30 other projects dedicated to saving species here and around the world. Rhino Lookout: Do more than see rhinos. Look out for them.